So, it's been a while, but I've been busy. My critique partners and I went on our retreat in February. While I had been thinking a lot about this book - the second Highland book - I had not gotten much written on paper. There were too many questions I had unanswered and I was fretting over how the story would play out. I am not a huge plotter, but I do have a vision of the direction I want the book to go in. I was hitting a brick wall and didn't know how to get around it. At the retreat, I laid out my thoughts and we ripped them apart, tossed them, jumped on them, and bundled them into a more cohesive vision. After the first night, I was well on my way to writing the book. The first chapter is Ramsey imprisoned. I had to come up with ways to torture this magnificent man. It was challenging because I had to know what kind of tortures would be done, where he might be held, for how long, and what other tragedies would he witness. His imprisonment lasts 4 chapters. Obviously, you can guess, he escapes. While writing this bit of the book, I met some new characters that weren't there before. These new characters who are prisoners give him new direction. I am very excited about the direction the book is headed, and can't wait to see what happens next in Ramsey and Leelah's lives. 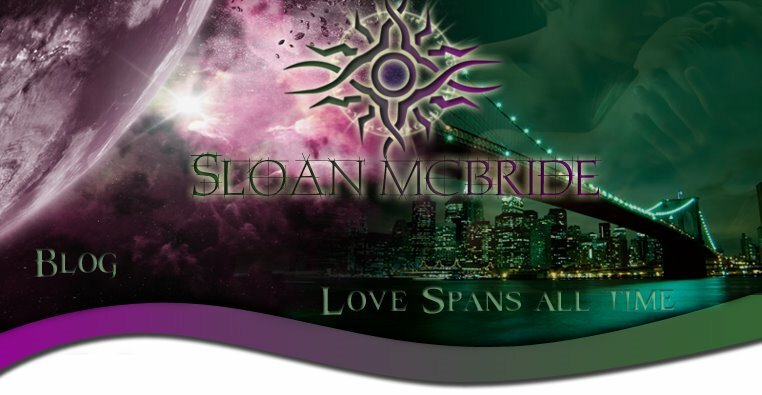 My webmistress/cover designer has started working on the cover. I've prepared the form with all the bits and pieces of information about the story I could come up with to give her ideas. She always manages to find the right people for the cover. Although the book starts out in 1346. Most of it takes place in 1356 - the same time period as Highland Stone - and you will be back with the MacLeod clan. 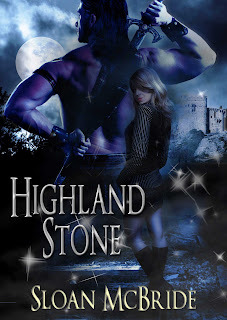 I am ready to say now that based on some of the recent reviews I've gotten on Highland Stone, I've decided to write a third book. The trilogy is called: The Talisman Trilogy. My plan for the third book is to make it Jamie MacLeod's story, but don't quote me on that yet. Who knows what will crop up in my mind as I'm writing this book. The third book may end up being something totally different than what I have planned. I love being a writer. Although the journey is a solitary one, each of my characters is a friend and I enjoy spending time with them. I am going to finish this trilogy before I move on to something else. I still have the Men of Fire Trilogy to complete, and the time walkers are beating on my brain as well. I have given myself the task of completing two books this year. I am well on my way, and keeping my fingers crossed. I hope you will come along for the ride. I will continue to post a blog about my writing process.